Astrological moon sign is the position occupied by the moon at the time of ones birth. Most of us are unaware of our moon signs and are satisfied knowing only their sun signs. But as a day is not complete without night similarly to draw a complete astrological picture of a person moon sign is very important. Moon travels through the twelve zodiac signs in a period of about a month and stays in every zodiac sign for two or three days. While the moon is in a particular zodiac it interacts with the planet that is there is our natal chart and thus effects our horoscope. Moon is the fastest moving planet among all the planets in the horoscope and thus its path is complicated and difficult to study. Unlike the sun sign moon sign is not solely governed by the date of birth. 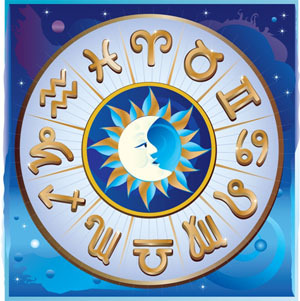 To calculate ones astrological moon sign special charts are required these are known as moon sign charts. They tell the current position of the moon i.e. the zodiac that the moon is currently occupying. Moon is said to govern qualities like intuition, creativity, emotions and our needs. Moon signs are especially very significant for women as moon greatly effects the qualities that are important to women. So knowing ones astrological moon sign is important. For example if moon is in the aries position then a person with his sun in Aries will experience a period of new beginnings whereas people with their sun in other positions will not have such an experience. Therefore, astrological moon signs are very important if you wish to know how moon effects your personality and your horoscope. You can either contact a professional astrologer or find your moon sign on the websites which calculate and display the moon sign according to your date and time of birth. What is my moon sign?